Director – Michael Chang, Screenplay – Joe Kelly, Based on the Comic-Book Story What’s So Funny About Truth, Justice, and the American Way by Lee Bermejo, Joe Kelly & Doug Mahnke, Music – Robert C. Kral, Animation – Telecom Animation Film Company Co., Ltd. (Supervising Director – Nobuo Tomizawa). Production Company – Warner Bros. Animation. Superman encounters a new five-person superhero team known as The Elite, led by the powerful British psychic Manchester Black. At first, he and The Elite work together but Superman backs off after seeing them prepared to torture bad guys for information and later their willingness to kill them. However, The Elite are celebrated by the American public for their tough, no holds barred stance against terrorists. Finding himself suddenly unpopular, Superman begins to question whether his morals are old-fashioned in the modern world. However, in his taking a stand against The Elite’s increasing readiness to kill, this pits Superman against them in combat. Superman vs. 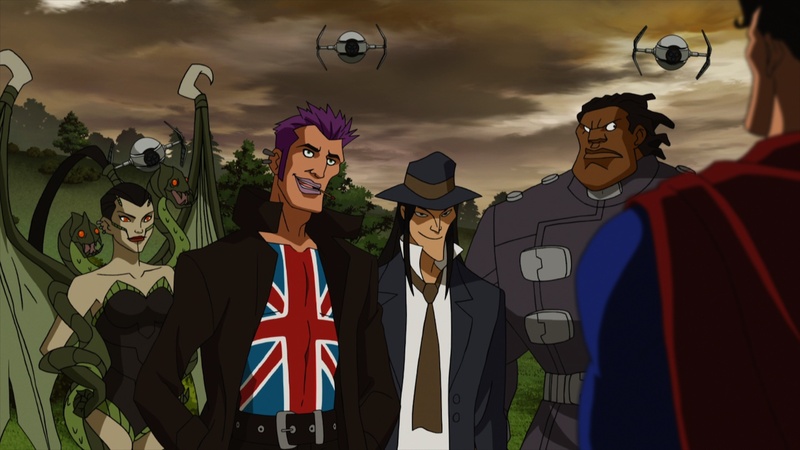 The Elite was the fourteenth of the DC Universe Original Animated Films. Other films in the series include Superman: Doomsday (2007), Batman: Gotham Knight (2008), Justice League: The New Frontier (2008), Green Lantern: First Flight (2009), Superman/Batman: Public Enemies (2009), Wonder Woman (2009), Batman: Under the Red Hood (2010), Justice League: Crisis on Two Earths (2010), Superman/Batman: Apocalypse (2010), All-Star Superman (2011), Batman: Year One (2011), Green Lantern: Emerald Knights (2011), Batman: The Dark Knight Returns Part I (2012), Justice League: Doom (2012), Batman: The Dark Knight Returns Part II (2013), Justice League: The Flashpoint Paradox (2013), Superman Unbound (2013), Batman: Assault on Arkham (2014), Justice League: War (2014), Son of Batman (2014), Batman vs. Robin (2015), Justice League: Gods and Monsters (2015), Justice League: Throne of Atlantis (2015), Batman: Bad Blood (2016), Batman: The Killing Joke (2016), Justice League vs Teen Titans (2016), Batman and Harley Quinn (2017), Justice League Dark (2017), Teen Titans: The Judas Contract (2017), Batman: Gotham By Gaslight (2018), The Death of Superman (2018), Suicide Squad: Hell to Pay (2018), Justice League vs The Fatal Five (2019) and Reign of the Supermen (2019). As with many of the DC Universe Original Animated films, Superman vs. The Elite is based on a classic graphic novel. In this case, it adapts What’s So Funny About Truth, Justice and the American Way? (2001), written by Joe Kelly that appeared in Action Comics #775. Coming out not long after 9/11, the issue was seen as a response to the legitimisation of torture and other intrusions of civil liberties that were imposed by the George W. Bush government. The story received a great deal of acclaim when it came out. 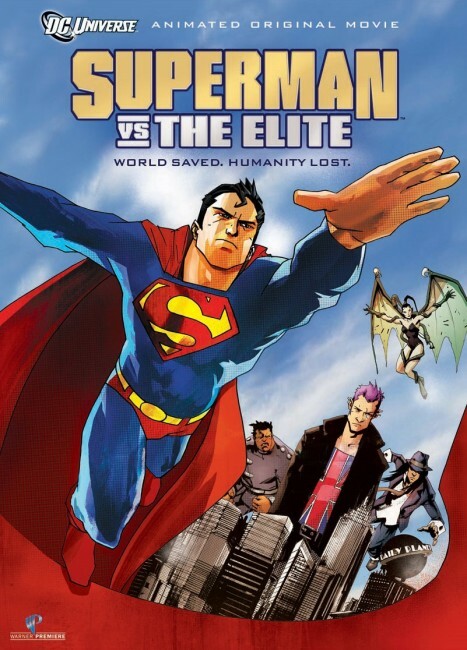 The Elite appeared in subsequent DC stories and were later reconceived by Joe Kelly as Justice League Elite, a team formed to deal with morally questionable missions. Joe Kelly, who also writes the script for the film, is a regular comic-book writer who created the graphic novel that became the basis of the film I Kill Giants (2017), for which he also wrote the screenplay. Elsewhere, Kelly is part of the Man of Action collective who created the animated series Ben 10 (2005-8). I get that What’s So Funny About Truth, Justice and the American Way was a response to the George W. Bush Government’s suspension of civil liberties in the aftermath of 9/11 and it is a story that has interesting and important things to say in the world of comic-books where superheroes remain largely free of political shading or opinion. That said, I don’t think that What’s So Funny About Truth, Justice, and the American Way works terribly well condensed to a 76 minute film. It essentially crams a complex debate down to a straw argument. The plot needs to swing an entire new team of superheroes – not just one new hero or villain but a five-person team. As a result, all but the passably well conveyed Manchester Black remain no more than cutouts. The other problem with the plot is that it involves Superman taking a stance (fair enough) and then an ending [PLOT SPOILERS] where for no real motivated reason he suddenly gives in to rage and violence, killing The Elite before a twist ending reveals that this is all a set-up to defeat them. Up until the big twist is revealed, this involves substantially twisting the character of Superman out of shape and becomes frankly unbelievable. (For that matter, the film seems to assume that the rest of the DC Universe doesn’t exist or is conveniently absent – where are the rest of the Justice League and what would their take on The Elite’s ruthlessness be, for instance? You find it hard to believe that Batman with his avowed stance against killing would remain silent on the issue). As one of the DC Universe Original Animated Films, Superman vs. The Elite works unevenly. By comparison, Superman Unbound (2013), which only came out the year after, is head and shoulders above this in terms of quality. 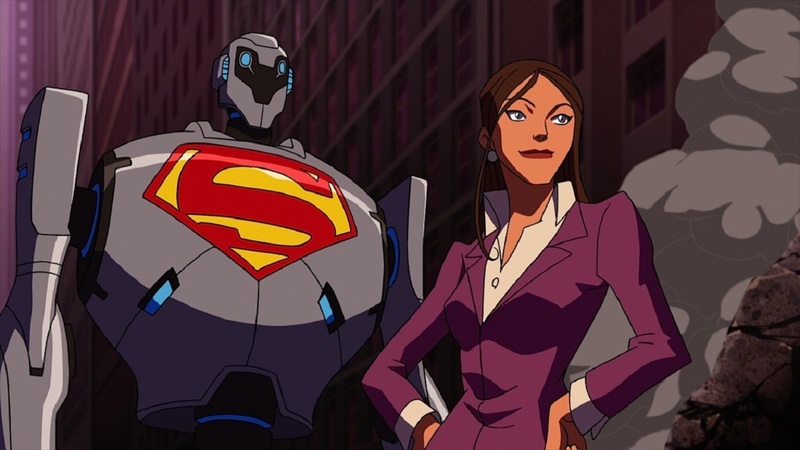 Superman Unbound writes a strong story and has more quality artwork whereas Superman vs. The Elite seems to coast by. The action is generally okay, even if the superheroic battles never amount to too much. This was the only entry in the DC Universe Original Animated films directed by Michael Chang. Chang was a veteran of other DC-adapted animated tv series such as Teen Titans (2003-6), Batman: The Brave and the Bold (2006-11) and Young Justice (2011-2). Chang also co-directed the animated DC film Teen Titans: Trouble in Tokyo (2006).